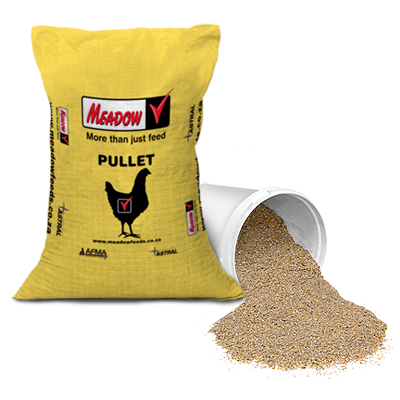 Broiler breeder pre-starter mash is fed to growing broiler breeders using restricted feeding, to control growth rate and body mass gain. Weekly weighing of a sample of birds is recommended to monitor feed levels needed. Starter mash is specially formulated to address the specific growth rates of the breeder to achieve 7 day and 14 day target body weights. A Pre-starter may not be necessary and one can use Starter mash instead. Pre-starter is also available in the crumble and pellet form. Feed from day old to 3 weeks of age. Feed ad lib. for 7 – 10 days and then restrict the bird’s intake. Grams per bird per day will depend on breed specific guidelines. 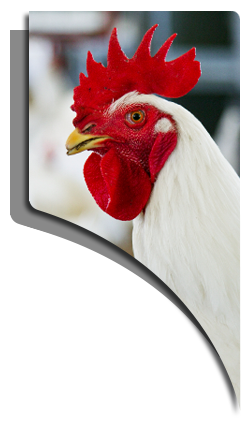 *These feed levels are a guide only and feed may need to be increased or decreased according to the birds body weight and breed. Broiler breeder starter mash is fed to growing broiler breeders using restricted feeding, to control growth rate and body mass gain. Weekly weighing of a sample of birds is recommended to monitor feed levels needed. Starter mash is also available in the crumble and pellet form. Feed from 4 weeks to 6 weeks old or from day old (see Pre-starter) to 6 weeks old. Grams per bird per day will depend on breed specific guidelines. Broiler breeder grower mash is fed to growing broiler breeders using restricted feeding, to control growth rate and body mass gain. Weekly weighing of a sample of birds is recommended to monitor feed levels needed. Grower mash is also available in pellet/crumble form. Feed from 7 weeks to 15 weeks old. Restrict the birds intake. Grams per bird per day will depend on breed specific guidelines. 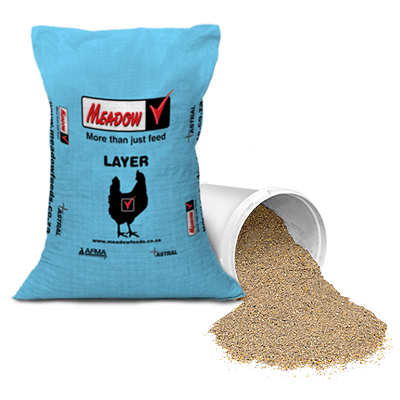 Broiler Breeder Pre-Breeder mash is fed to broiler breeders using restricted feeding, to control growth rate and body mass gain before lay. Weekly weighing of a sample of birds is recommended to monitor feed levels needed. Pre-breeder mash is also available in pellet/crumble form. Feed from 16 weeks to 20 weeks old. Restrict the birds intake. Grams per bird per day will depend on breed specific guidelines. Broiler Early Breeder is fed to broiler breeders in lay, under restricted feeding to control bird body weight and optimize egg output. Weekly weighing of birds and daily egg production record keeping is recommended to monitor feed levels needed. Feed from 21 weeks to 35 weeks old. Restrict the birds intake. Grams per bird per day will depend on breed specific guidelines. Broiler Late Breeder is fed to broiler breeders in lay, under restricted feeding to control bird body weight and optimize egg output. Weekly weighing of birds and daily egg production record keeping is recommended to monitor feed levels needed. Feed from 36 weeks old until the end of production, usually 60 – 64 weeks. Restrict the birds intake. Grams per bird per day will depend on breed specific guidelines.